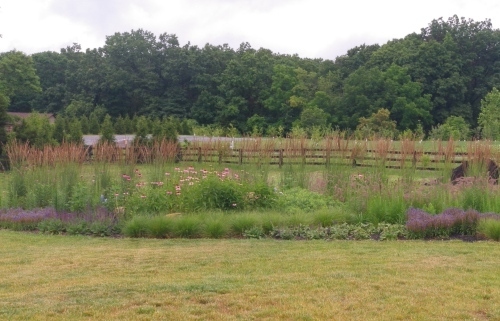 Landscape Design Associates offers landscape designs, planting installations, and container gardening services to homeowners and businesses in the Northern Virginia and DC area. From our nursery in Great Falls, we also supply plants directly to clients and grow them for use in our installations. 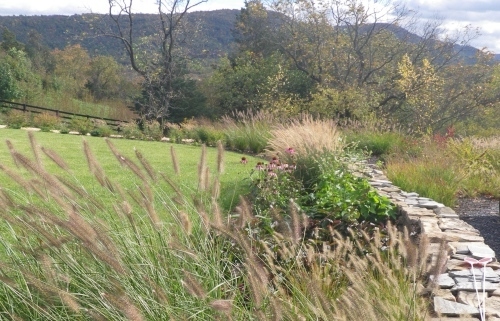 From a small planting plan to a master plan for an entire site, Landscape Design Associates strive to create designs which will maximize the pleasure and enjoyment to be gained from the landscape. Our designs aim for the greatest use of the site’s attributes, while addressing problems such as erosion, drainage, and exposure. 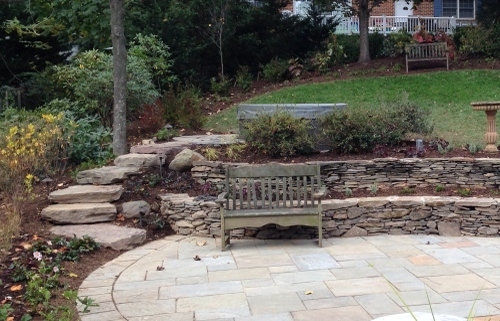 We design structural elements such as walls, walkways, and patios, and call on skilled local stonemasons and masonry experts to install our designs. 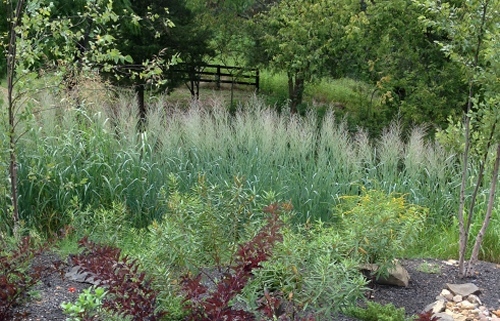 Our planting plans consider structure, colors, textures, and seasons to create beautiful ever-changing displays, and we source plants, supervise soil enhancement and implement the designs. 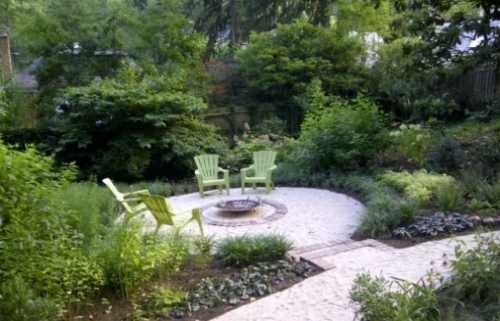 Once completed, we offer periodic maintenance services to keep the landscape looking great for years to come. To request a consultation please click here. Landscape Design Associates provides a cost-effective container gardening service on every scale, from single pots to commercial installations. We plant and supply hanging baskets, urns, window boxes and planters in many configurations, including seasonal and perennial plantings. We can also provide displays for special events, with custom-grown room decorations, table centerpieces, and take-home favors. For more information on options and pricing, or to request a quote, please click here. 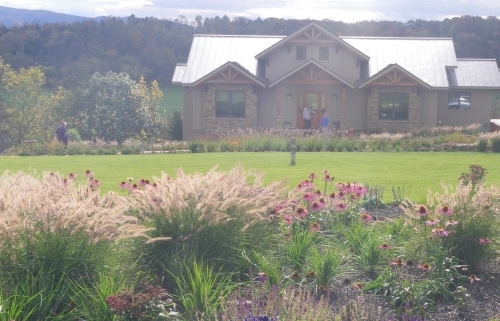 Landscape Design Associates operates Treefrog Nursery in Great Falls. Here we grow many plants used in our containers and landscape installations. The nursery is operated as free from chemicals as possible—no growth hormones, pesticides or herbicides—and we concentrate on native species to provide sustainable landscapes. If you would like to visit the nursery please give us a call or send us an email—we look forward to hearing from you.